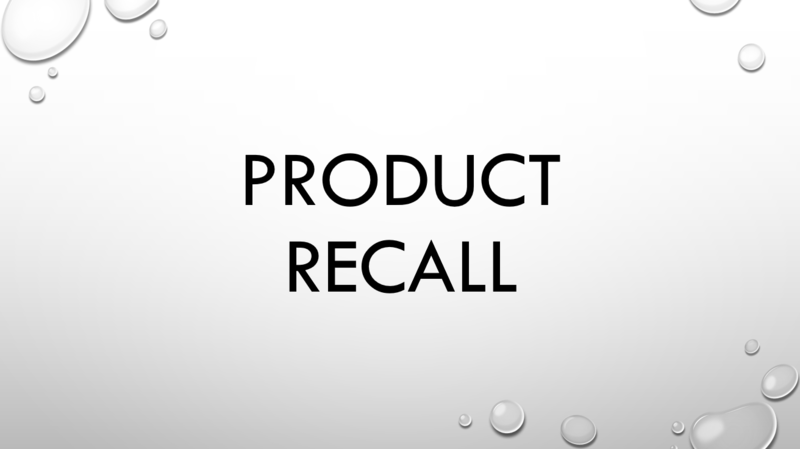 Another “your product” exclusion contained in the CGL deals with the potential liability caused by product recall. The exclusion’s purpose is to prevent the CGL insurer from becoming liable for this risk. … if such product, work or property is withdrawn or recalled from the market or from use by any person or organization because of a known of suspected defect, deficiency, inadequacy, or dangerous condition to it. Withdraw means “to take back or away,” while recall is “an official order to return.” The former is a voluntary action while the second is an official order. Both verbs are past tense, meaning each action is completed. “Market” is the most commonly used noun to describe the place or location where goods are bought and sold while “use” is the “application or employment of something for some purpose.” The former implies that the good is still on the shelves while the latter connotes that the good has already been employed for some purpose. The good has a “defect” or, “an imperfection;” the good is faulty. “Deficient” means lacking a quality. Something is missing from the good such that it can’t perform as advertised. The suffix -y means, “having the quality of.” The suffix converts an adjective into a noun. “Danger” means “perilous” while the suffix “-ous” means “characterized by.” Put another way, the good is perilous. The purpose of listing a group of nouns which describe the problem is to case as wide a net as possible with the intention of incorporating all known possibilities – which this description does well. Risks related to "your product" (which, for the purposes of this quick post, is a product made by the insured or work performed by the insured) are excluded from the standard ISO CGL policy (please see here, here, and here). As of this writing, Boeing is experiencing problems related to their product. Several countries have banned one of their airplanes from service due to several recent crashes. 5.) Legal expenses related to the incident. For companies that make a product and place it into the "stream of commerce," a captive might make sense. 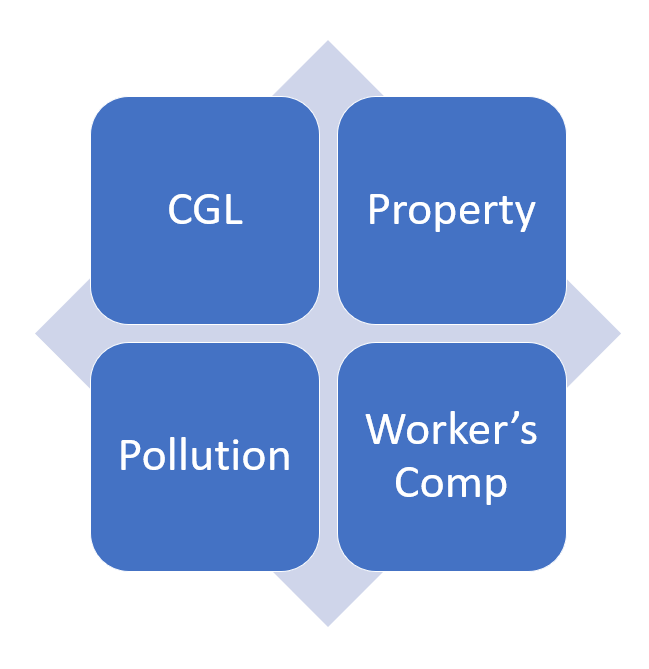 The previous post discussing the “your work” exclusion explained the CGL’s coverage exception for the physical work performed by or on behalf of the insured. That exclusion also applies to the insured’s communications meant to assure a third party regarding the specific attributes or qualities of the insured’s work. Here is the exact wording of the exclusion. This insurance does not apply to property damage to your work arising out of it or any part of it. A “Warranty” is “an assurance by the seller of property that goods or property are as represented or will be as promised.” The verb “represent” means, “to describe as an embodiment of a specific quality.” Representation is a noun derived from the verb. Both nouns are categories of the broader statements made by a seller to a buyer that represent certain aspects of the goods sold. Fitness means, “of a suitable quality, standard. or type.” Here, the seller promises that the good complies with certain specifications. Quality has two applicable definitions. The first is, “a distinguishing characteristic,” where the seller identifies a certain feature that is likely key to the sale. Quality also means, “a degree of excellence,” which implies the good is somehow better than similar items. Durability is defined as, “capable of withstanding wear and tear.” This adjective goes to the expected life of the good. “Performance” is based on the verb “perform” which means, “work, function, to do something to a specified standard.” The suffix -ance has several definitions; here, it means, “denoting a quality or state.” Therefore, performance is, “the state of performing.” A representation about a goods “performance” focuses on how that good will function and implies a minimum level of capability. The American Heritage dictionary defines “use” as, “a purpose or way something is used.” Here, the insured is describing how a third party might implement the good. For a further discussion of the concepts involved, please see the Uniform Commercial Code's discussion on warranty. The Concise Oxford English Dictionary, Second Edition, © 2004, p. 1511. The suffice -tion is used to make a noun from a verb. Physical damage is the “result of an action” to tangible property. Number 2 is clearly the mostly likely and commonly accepted definition. I’ve included number 1 mostly out of a sense of completeness. However, it’s also a possibility once we dig deeper into the definitions of the phrase’s words. We can combine the first three words into the following: “harm to (a) body that is perceptible (by touch).” Although it seems painfully obvious, a third party must be able to perceive the harm. Most definitions of the word property use the word, “thing” -- a broad and indefinite word, meant to connote, well, anything. Definitions of the word property also refer to the concept of ownership, which means the person alleging damage should have possession of the item. In legal terms, this usually means title, even if the concept is demonstrated informally. That's it for this post. Next time, I'll look at some of the different types of property seen in the case law. That’s from my VERY old Warriner’s English Grammar and Composition, © 1973. I use three dictionaries: a 1982 American Heritage Dictionary, a 2004 Oxford English Dictionary, and the online Merriam-Webster Dictions. We will pay those sums that the insured becomes legally obligated to pay as damages because of "bodily injury" or "property damage" to which this insurance applies. We will have the right and duty to defend the insured against any "suit" seeking those damages. However, we will have no duty to defend the insured against any "suit" seeking damages for "bodily injury" or "property damage" to which this insurance does not apply. We may, at our discretion, investigate any "occurrence" and settle any claim or "suit" that may result. This paragraph contains several key insurer obligations rights. First, the insurer will pay sums “the insured becomes legally obligated to pay.” While a jury verdict is the obvious example, out-of-court settlements are far more common. At minimum, there must be a formal agreement. Second, the insurer has a duty to defend. This is a great advantage for the insured who will not have to pay for an attorney. Third, the insurer may investigate the claim itself, which is reserved to prevent insurance fraud. Finally, the insurer can settle the suit, essentially acting as an agent for the insured. … a fortuitous, unexpected, and unintended event. ... We have further said that an intentional tort is not an accident and thus not an occurrence regardless of whether the effect was unintended or unexpected. ... But a deliberate act, performed negligently, is an accident if the effect is not the intended or expected result; that is, the result would have been different had the deliberate act been performed correctly (Lamar Homes, Inc. v. Mid-Continent Cas. Co., 242 S.W.3d 1 (Tex., 2007)). The three adjectives of fortuitous, unexpected and unintended have one thing in common: a level of randomness so high that an insured cannot plan for the event. For example, a business in Houston, Texas knows that a hurricane will eventually hit the city. But it doesn’t know when; it could be next year or in five years. The high level of unpredictability makes planning impossible and thereby triggers the need for insurance. In addition, an act performed negligently is also a trigger. The legal concept of negligence also contains a random element similar to fortuitousness. In addition, negligence is one of the most common causes of action a third-party will bring against an insured, more or less guaranteeing that the CGL has to cover this cause of action. And that's it for this post. Next up, I'll look at bodily injury and property damage.